The head of the Russian Orthodox Church, Patriarch Kirill, has consecrated a new cathedral in central Paris, just yards away from the Eiffel Tower, with hundreds of worshippers attending the service he led there on Sunday. Trinity Cathedral was opened as part of a Russian cultural and spiritual center on the banks of the Seine River in the French capital. 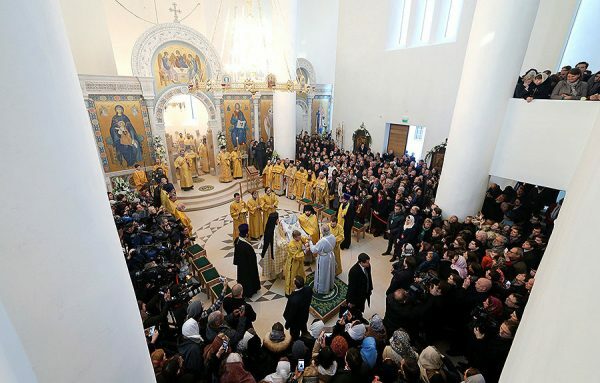 Around 500 Orthodox believers from the Russian community in Paris, including the offspring of Russia’s former princely houses, packed the church for the event. Renowned French singer, Mireille Mathieu, and Russian super-model, Natalia Vodianova, were also attending. The Patriarch called the new church a symbol of the close ties between the peoples and the cultures of Russia and France. “It’s a monument to our close relations in the past and, certainly, a symbol of what awaits us in the future,” he said. The Orthodox Church leader also thanked France for its hospitality to the Russian immigrants who arrived in the country after the 1917 revolution. “It’s your duty. You can live wherever you want, but you can’t break spiritual and cultural ties with your people,” Patriarch Kirill added, according to Russian news agencies. Construction on Trinity Cathedral began last April on a plot of land purchased earlier by the Russian government. Russian President Vladimir Putin was expected to attend the opening ceremony with his French counterpart, Francois Hollande, in October, but his visit was cancelled after the French side shortened the program for his trip amid increasing tensions between Russia and France over Moscow’s veto of a French UN Security Council draft resolution on Syria. 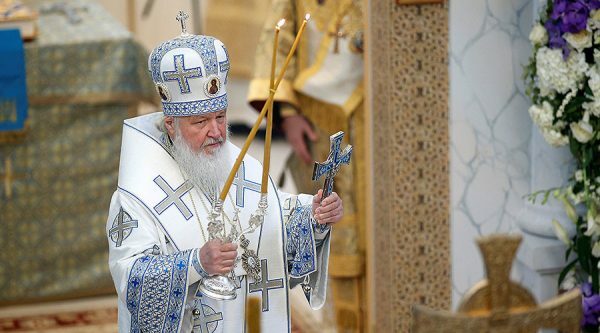 Patriarch Kirill will also travel to Zurich, Switzerland to take part in celebrations commemorating the 80th anniversary of the local Orthodox cathedral there during his five-day trip to Europe from December 3 to 7.